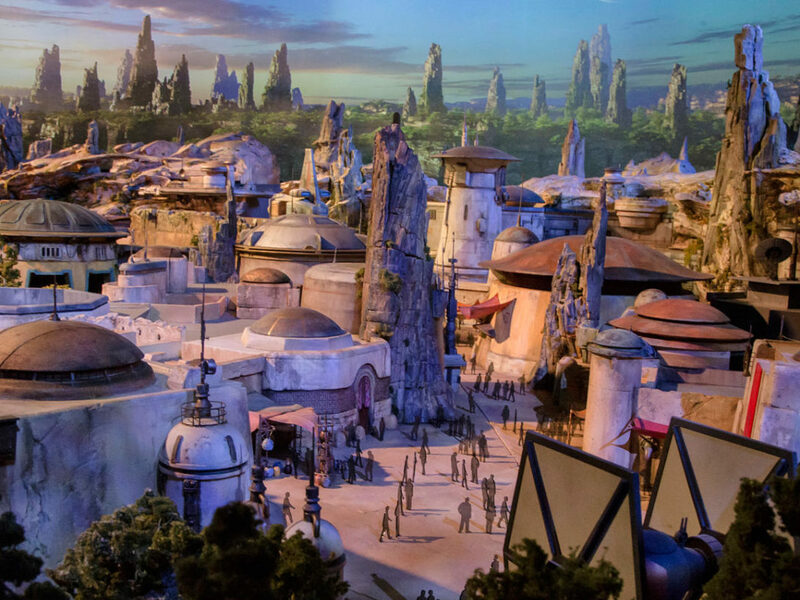 Being a long-time Star Wars fan, I’m delighted there is a fifth weekend for Star Wars Weekends this year at Disney’s Hollywood Studios. This extra weekend takes place during Father’s Day weekend, which is perfect since I regularly recreate a famous scene from Star Wars: Episode V The Empire Strikes Back with my son. 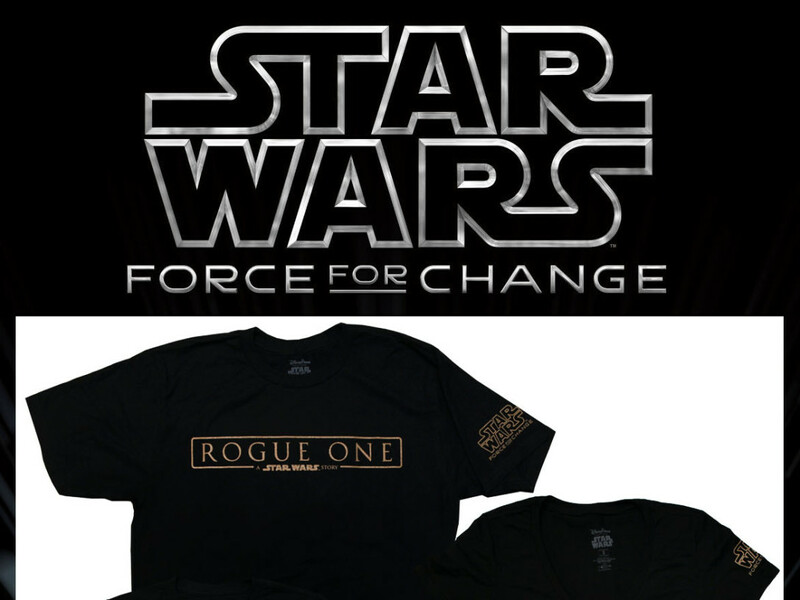 Here is a brief look at some new items that you will find at Darth’s Mall, our merchandise location found between Toy Story Midway Mania and Studio Backlot Tour. 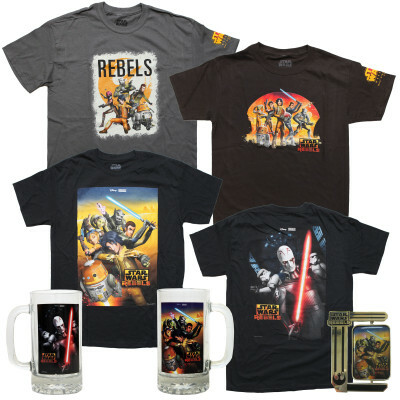 New items will include fun Darth Vader shirts, and some character tees, a glass mug, and a spinner pin with characters from the upcoming Disney XD animated series, Star Wars Rebels. 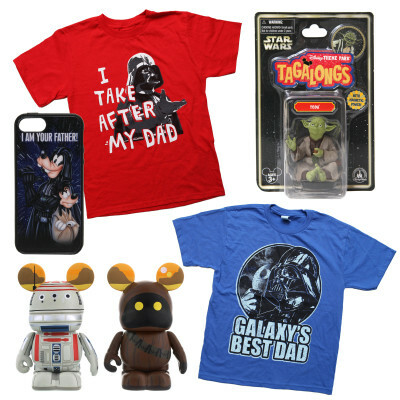 Other new items include a 3-inch Vinylmation set that was originally designed for Vinylmation –– Star Wars series 2 (it contains a Jawa and R5-D4), and a limited edition, D-Tech on Demand case for iPhone 5/5S featuring Goofy and Max. 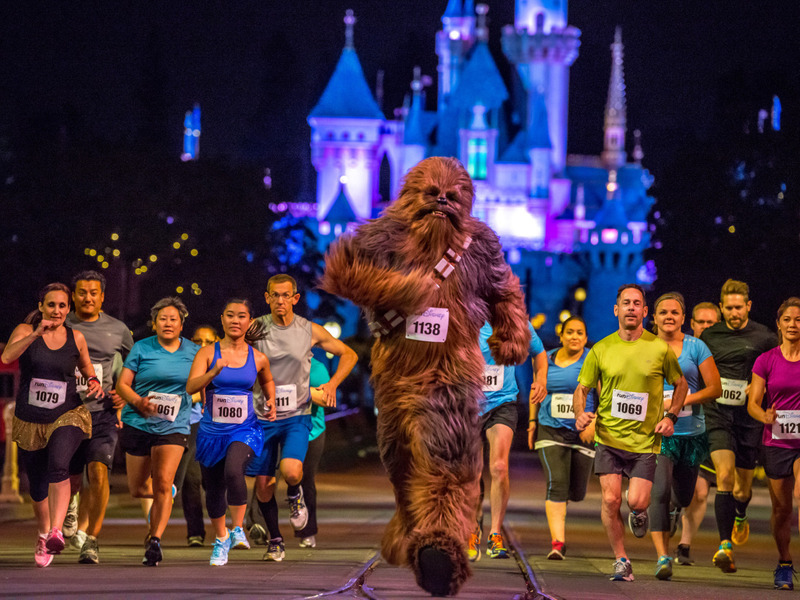 You can also find a new Disney Theme Park Tagalong featuring Jedi Master Yoda. 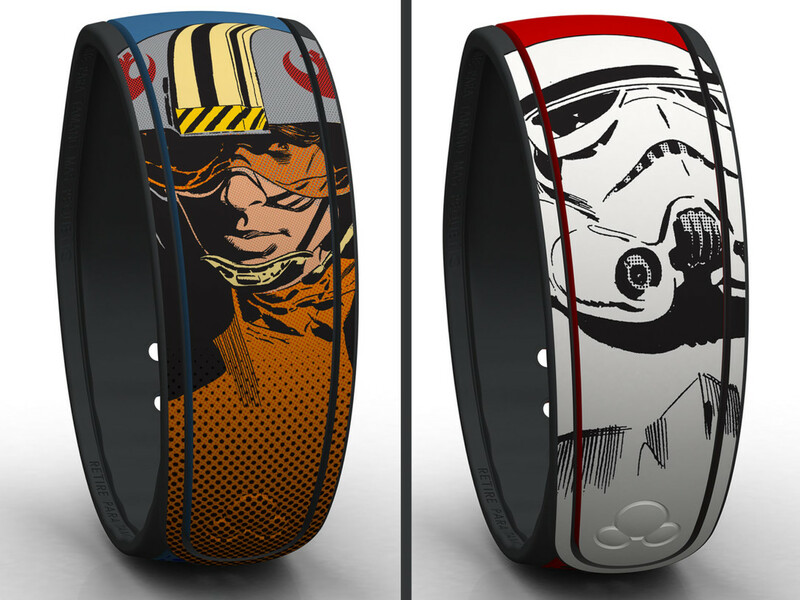 For the first time, we will release two limited edition, retail MagicBands with pre-printed images (edition size 2,500 each). 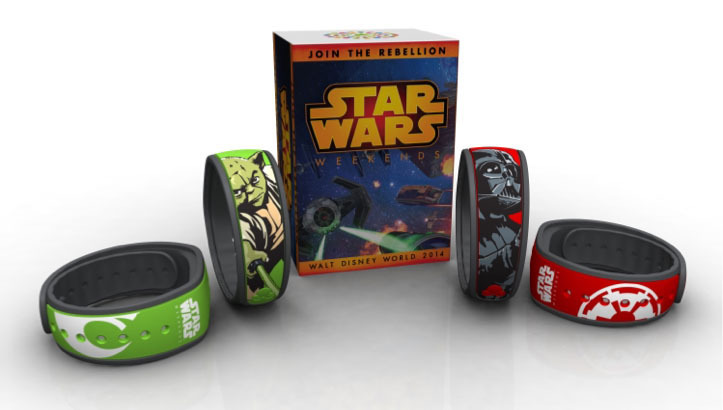 There will be a green retail MagicBand with Yoda’s image and a red retail MagicBand with Darth Vader’s image (colors were selected to match their light saber colors). Each retail MagicBand will be packaged in a decorative Star Wars Weekends box (you can use the free Aurasma app on your mobile device to make the box image come to life). 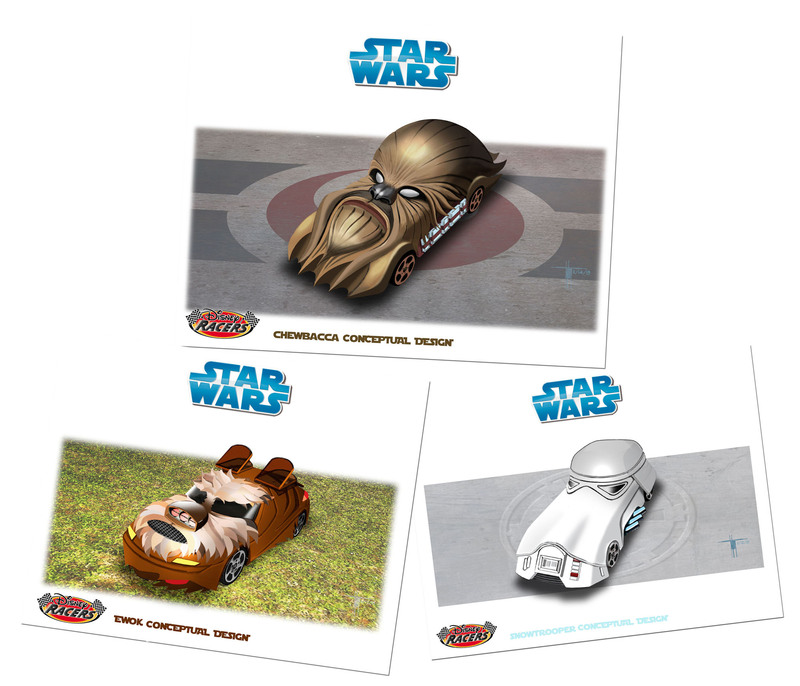 Finally to celebrate this fifth weekend, fans have voted on the Disney Parks Blog to select the next Star Wars-themed Disney Racer that will be released in spring 2015. 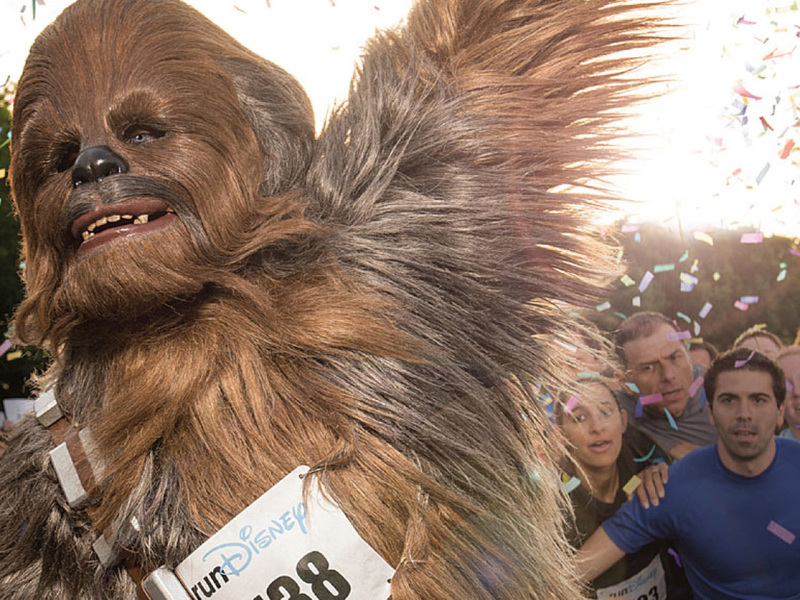 You may recall that we recently re-launched Disney Racers at Disney Parks. 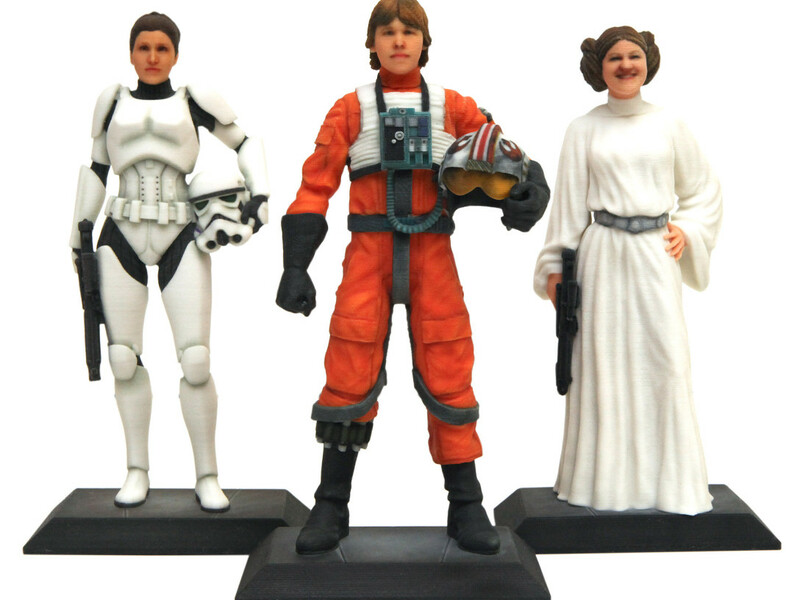 This is the first time we’ve asked our readers to select the next design to be made. When it’s released, the packaging for this die-cast metal car will have a “fan choice” call-out. We will reveal the winning entry on Friday, June 13 on the Disney Parks Blog. 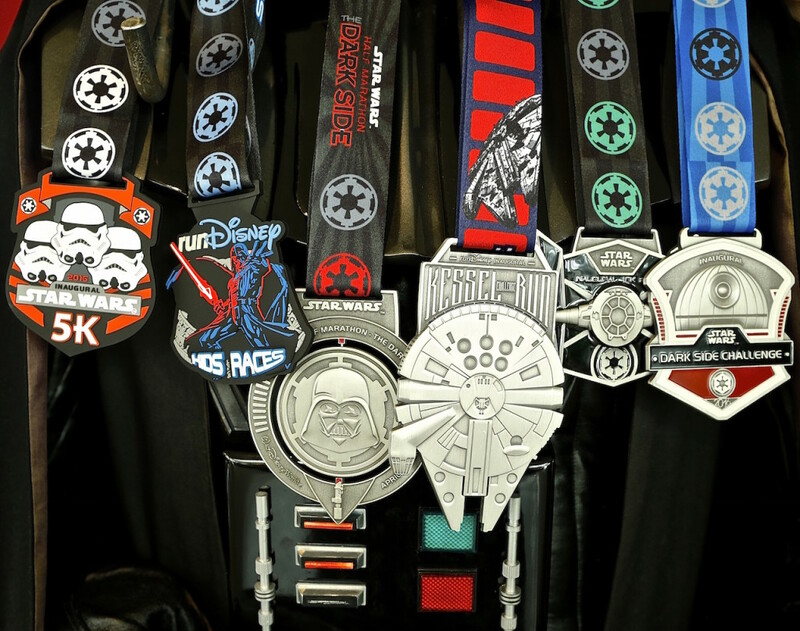 runDisney Star Wars Merchandise – First Look!